After some time it will be necessary to replace the bulb in your aquarium light system. 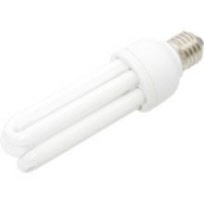 Each one of these 25W compact fluorescent screw in light bulbs measures 7.5 x 2 x 2 income in the Kelvin color spectrum of 6400K. Most people replace their lights approximately every 6 months.